Google Map – This shortcode was used to display Google Map into various style. Title – This is text option for google map title. 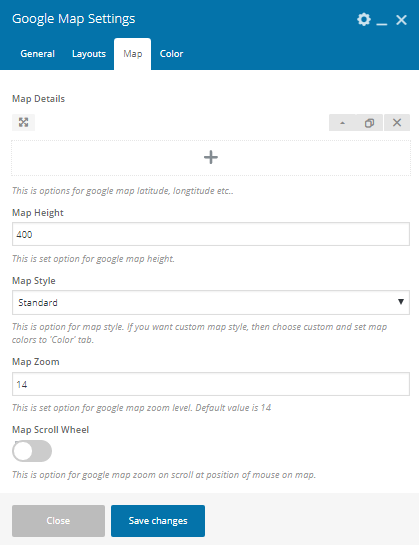 Map Details – This is options for google map latitude, longitude etc..
Map Height– This is set an option for google map height. 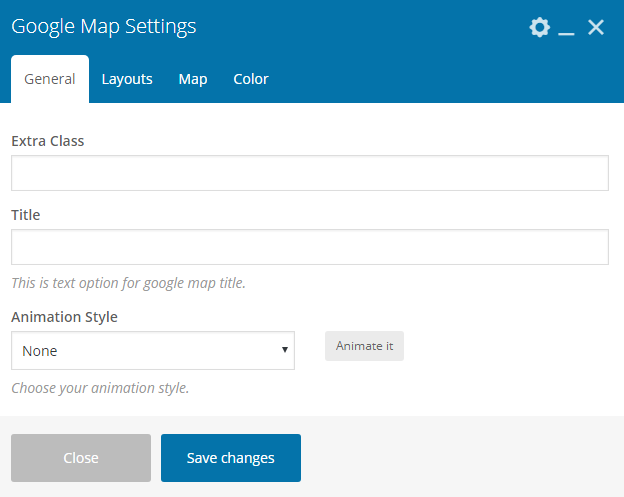 Map Style – This is an option for map style. 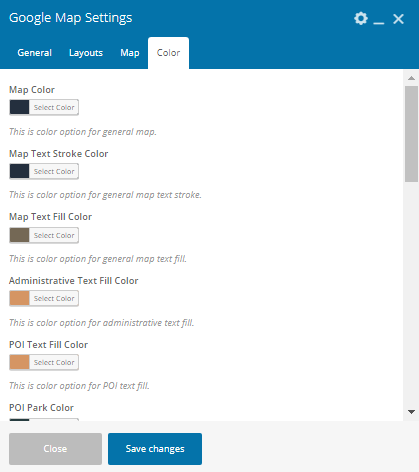 If you want custom map style, then choose custom and set map colors to ‘Color’ tab. Map Zoom – This is set an option for google map zoom level.The default value is 14. Map Color – Here you an customize the map color design.